I obviously lived to tell about this experience, so Val isn’t an ax murderer who’d lured me into a trap. No, Val Gregory is the very friendly, funny and creative Executive Director of the Chamber of Commerce for Colfax, WA. She agreed to meet with me when Team ProjectWA was touring Washington’s Palouse region this week. 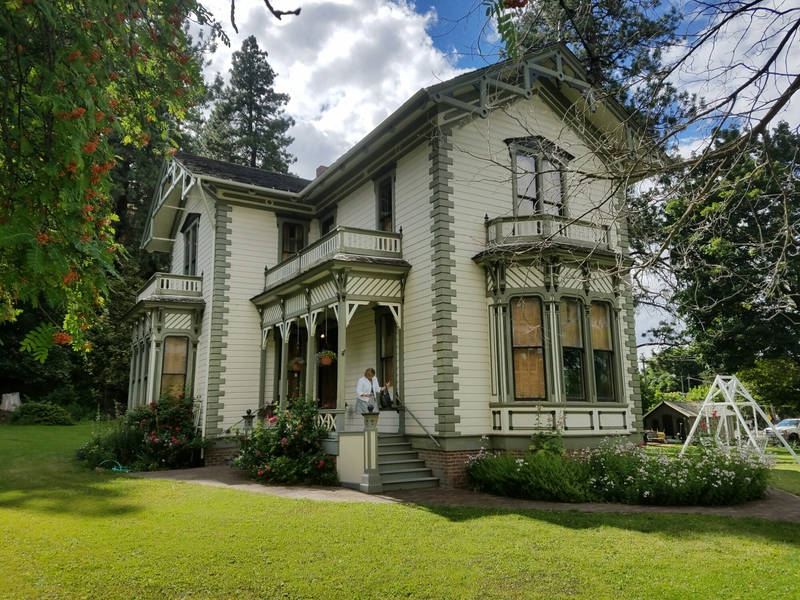 Val also manages the Colfax Historic Preservation Commission, so the Chamber and Historical Society are co-located in the Perkins House, the oldest home in Whitman County. Within a few minutes of parking the ProjectWA RV in front of the Perkins House, Val suggested we take a tour of St. Ignatius Hospital, which sits on the hill above downtown Colfax. 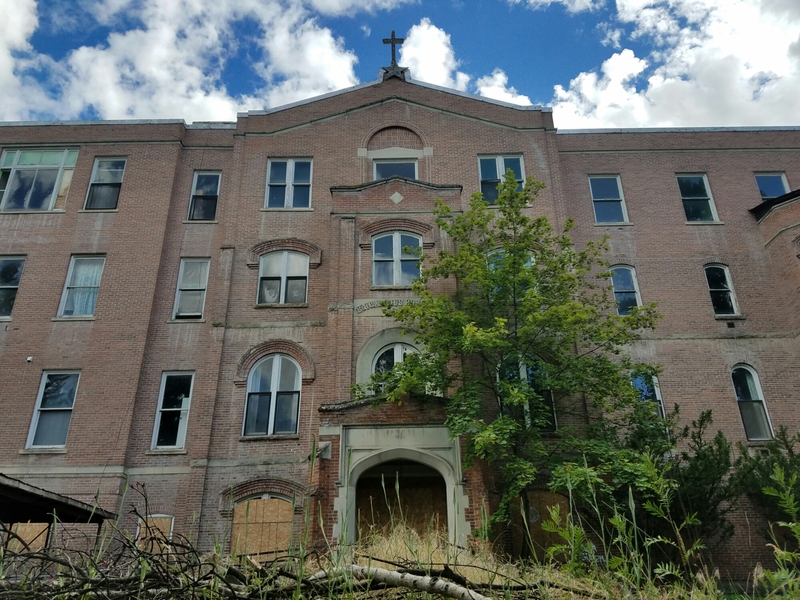 The building, which was a care facility for developmentally disabled children and adults until it was closed in 2003, has remained abandoned ever since – gradually becoming known as the “haunted hospital” on the hill. 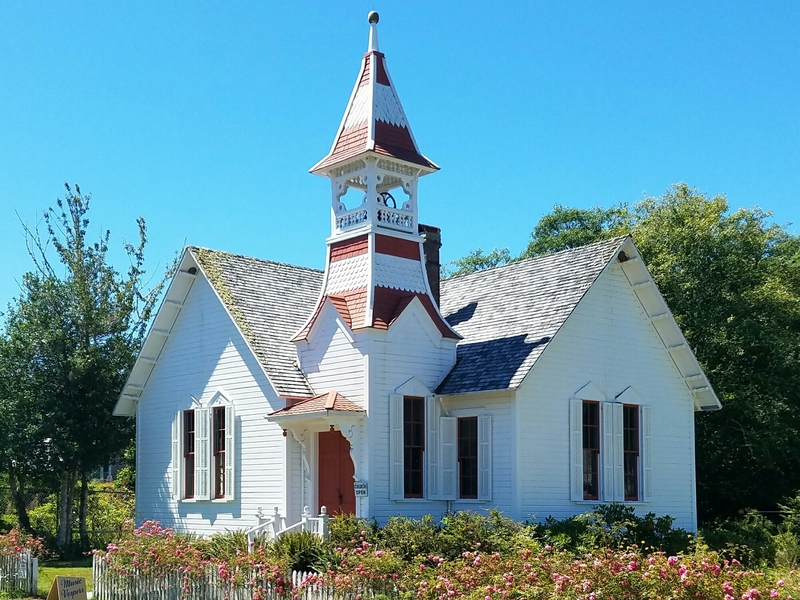 St. Ignatius, built in 1893 by the Sisters of Providence, was Whitman County’s first and only hospital until 1968. It was designed by Mother Joseph herself, who lived there for years with other nuns who ran the place. As I learned over the next hour, St. Ignatius had some… quirks. Val drove me up to the hospital in her pickup truck. The exterior of the building was right out of an old Scooby Doo cartoon. “Watch out, there’s a colony of bats that lives in the chimney,” Val said when she flung open the door and invited me in. I stepped into the hallway, which was extremely cold considering outside it was pushing 90 degrees. “Of course the hospital has a morgue in its basement,” I thought as I accepted my Colfax souvenir. Val then proceeded to give me a tour of every floor of the five-story brick building. 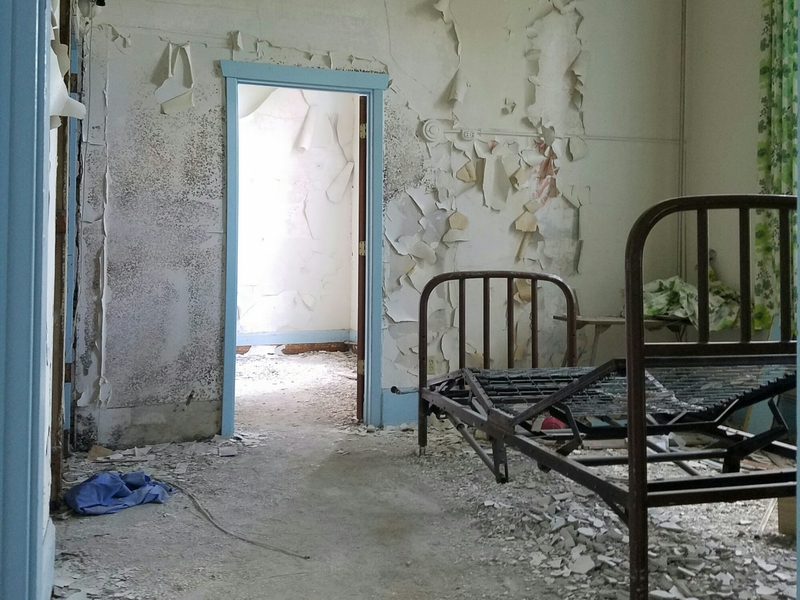 Plaster peeled from the walls, shards of glass from broken windows lay scattered on the floors, and old wheelchairs and hospital bed frames were randomly placed throughout. Every room had a story. “This is the infectious diseases floor,” explained Val, who went on to tell me about the patient who’d been admitted in the 1950s for maggots growing between her toes. Then there was the one about the three-year-old who’d died here after swallowing chrome cleaner. It was at that point that I began wondering if Val was out to get me, or if she was a genius. After surviving the tour, I decided: definitely the latter. Val’s been in her position for barely a year. 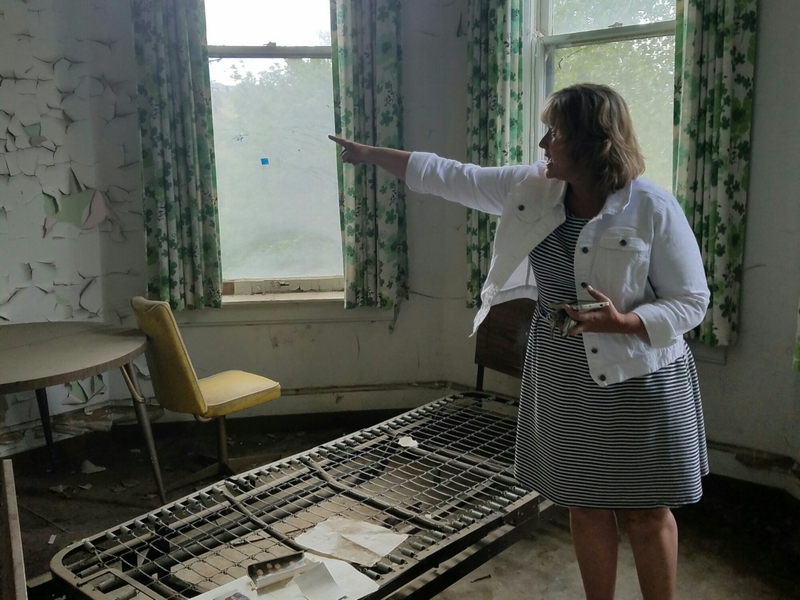 After three days on the job, she asked her bosses if they knew who owned the abandoned hospital on the hill, and how could she get the keys. Val wanted to open it up for tours. That was in October 2015. 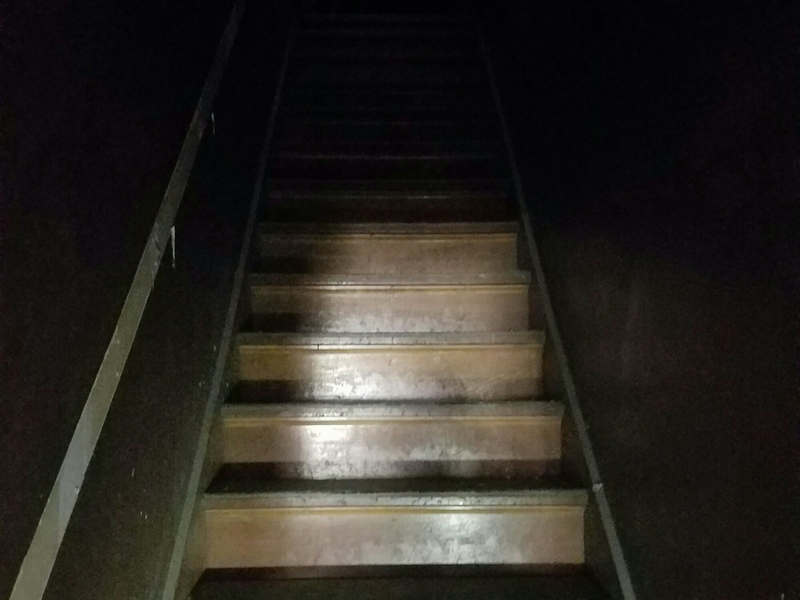 Since then, more than 2500 people have toured the hospital – paying $45 for nighttime “ghost hunts” and $20 for day tours. Organizations from all over the U.S. have sent in their paranormal teams to study St. Ignatius. In August, the Discovery Channel plans to spend a week in the building on “paranormal lockdown.” Yes, Val is definitely a genius. If you visit any small town like Colfax these days, “ghost town” is a dirty word. Industries mature and disappear. Big box and online retailers cause Main Street retailers to close down. Younger generations move to the big city. Val Gregory has realized that Colfax’s greatest weakness – abandoned buildings – is also its greatest strength. She’s embraced the ghost. The tagline for her shop local campaign? 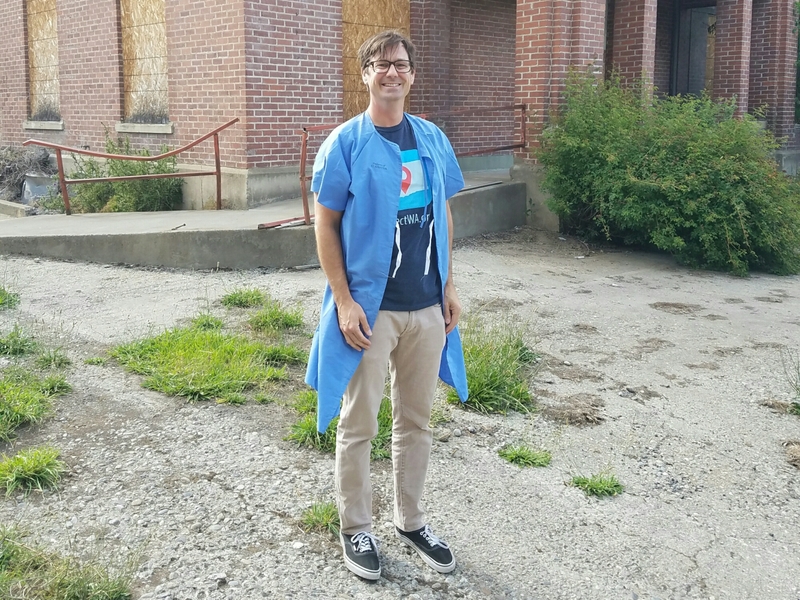 “Ghost Towns Happen When You Don’t Shop Local.” Val has moved beyond haunted hospital tours. She’s secured the keys of several of Colfax’s empty buildings downtown – from the old Mason Lodge to the doctor’s office that’s been vacant since the 1950s. According to Val, Colfax’s mayor, Todd Vanek, recently said, “I never thought we’d be a ghost town, but I’m glad we are now.” With the revenue that Val has brought in with the ghost tours, I’m sure the mayor is much more accepting of empty storefronts on Main Street. As I’ve visited dozens of small communities around the state, it’s become clear that historic towns like Colfax aren’t necessarily destined to be actual ghost towns. Their historical assets – from haunted hospitals to train depots – can be mined and harvested just like the hills above Colville or the fields of the Palouse. All it takes is a bit of creativity, and maybe a somewhat twisted sense of humor. Thankfully, Val Gregory has both. “The Columbia is the most powerful river in the world.” This is what Joe Barreca, president of The Heritage Network, said to me as we walked the bluff above the massive river below, where Fort Colvile used to stand. Yes, the Columbia is the most hydrologically powerful river in the world due to its volume and the elevation; but Joe wasn’t just referring to the river’s powerful water flow. The Columbia River has altered the course of history – for the inhabitants of Washington State and the world. Soon after David Thompson, a fur trader from the North West Company, arrived at Kettle Falls on the Columbia River in 1811, he discovered a way to navigate all the way to the river’s mouth at Astoria. This discovery was more than just a faster way to move furs to the coast; it was the final link in a global trade distribution route. Furs that reached the Pacific were shipped to China, where they were traded for china that was then shipped to Europe and traded for iron, which would then make its way back to America, where the cycle would start all over again. 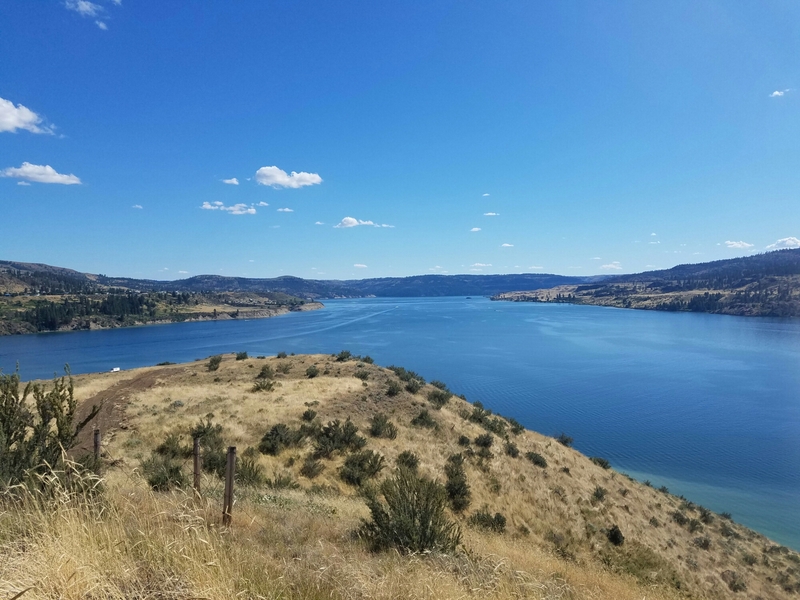 The Columbia River sparked one of the first global trade deals, and with it, rising fortunes of the northeast corner of Washington – today’s Stevens, Ferry and Pend Oreille Counties. 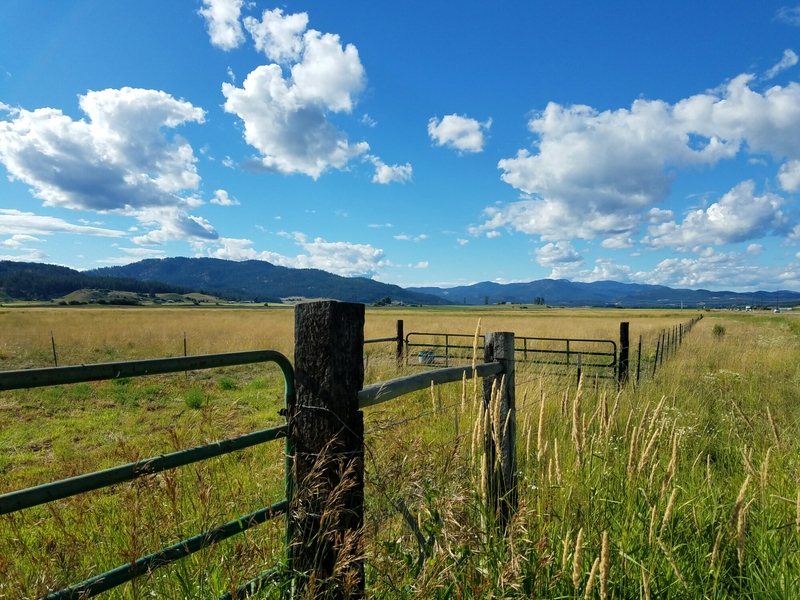 The area around Kettle Falls was rich long before the arrival of David Thompson. As I started my tour of the Tri County area with Joe Barreca, he pointed out that Native Americans had thrived in this region for millennia. “While the Roman Empire rose, fell and rose again, these guys lived sustainably for 10,000 years.” During the summer salmon runs, they’d pull as many as 1700 50-pound salmon out of the river every day. The “salmon chief” would allow a great number of salmon to go up over the falls before he would allow fishing to begin to sustain the fishery. In the century after Thompson’s arrival, new settlers arrived and industries emerged. Out of the fertile land along the river sprouted more than 100 different varieties of apples and other fruit. In 1852, Joseph Morel, a Hudson Bay employee who settled along the Colville River, discovered gold at Waneta – leading to a mass migration of gold miners up from California. 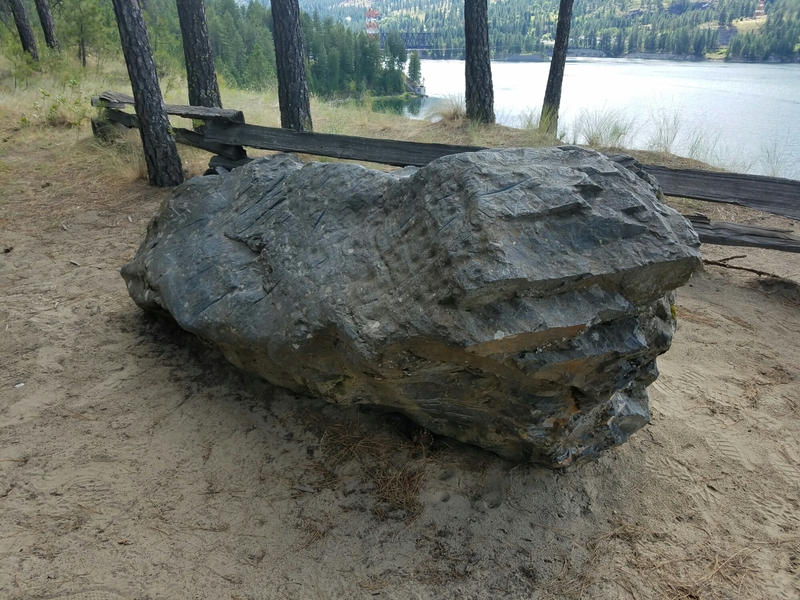 Timber and minerals from the surrounding hills were transported to other parts of the world – via the Columbia, and later the Corbin Railroad. Though at the expense of the area’s original people, the new inhabitants of northeastern Washington prospered in the late 19th and early 20th centuries. While I was getting this history lesson from Joe, I couldn’t help wondering about the disparity between this region’s past prosperity and its current economic status. Ferry, Stevens and Pend Oreille Counties regularly rank among the most economically distressed counties in Washington State. What happened? “We were sacrificed for the power of the rest of the region,” continued Joe, as he and I stood at the Sharpening Stone, where Native American fisherman used to sharpen their salmon spears. I might be worried about Tri County prospects if I wasn’t aware of current economic trends in Washington State. With agritourism and outdoor recreation on the rise, the fortunes of the region are less and less tied to the industries responsible for its economic boom a century ago. 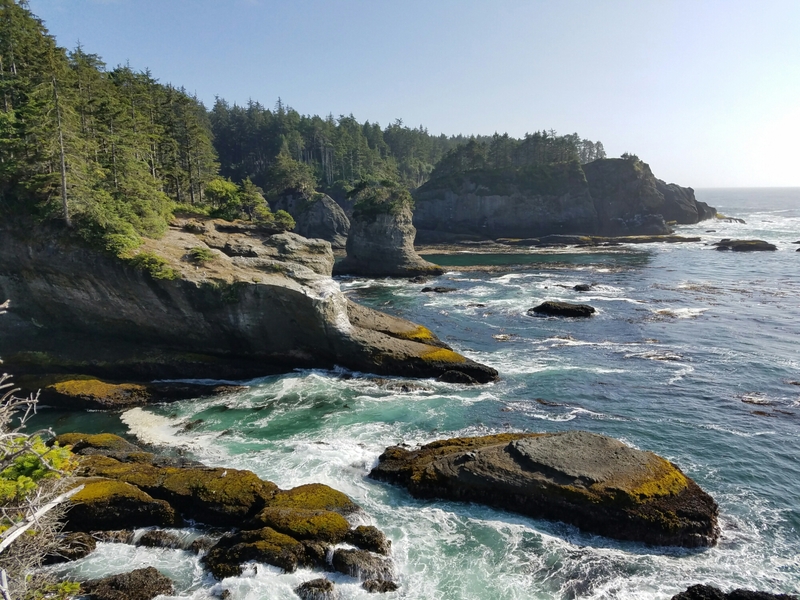 Jon Snyder from the Governor’s Policy Office for Outdoor Recreation & Economic Development recently pointed out to me that outdoor recreation contributes to $2.6 billion in economic activity in Washington State – rivaling aerospace and software. 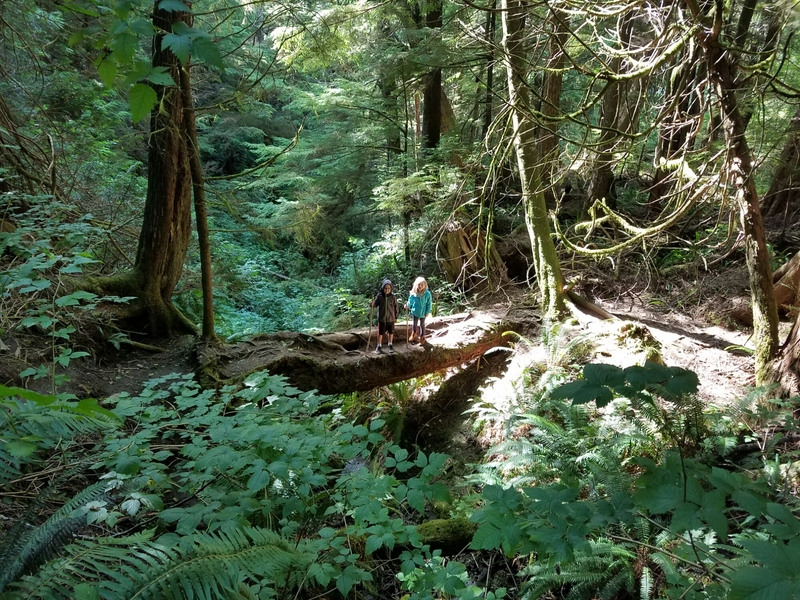 As railroad tracks are converted to bike trails, kayaks replace logs on the Columbia and “farm-to-table” becomes part of our lexicon, I expect natural wonderlands like the northeast corner of Washington to thrive. 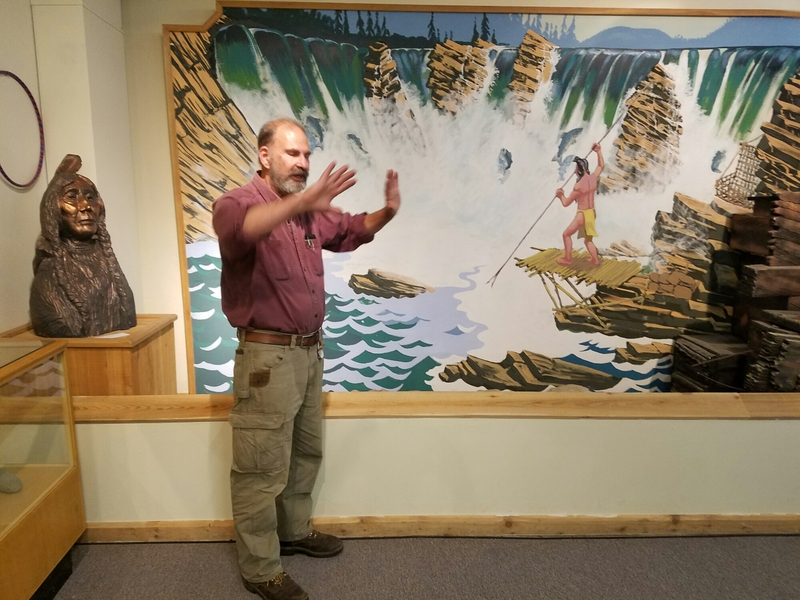 Last month, Erich Ebel from the Washington State Historical Society told me that, “people are gravitating toward heritage tourism.” As they do, towns like Kettle Falls and Colville need to find ways to surface the unexpected treasures locked within their museums. You’ll find more than just catalogued artifacts within their walls. Before we started our drive from Colville to Kettle Falls, Joe took me through the Stevens County Historical Society’s Museum. They have an entire room dedicated to one of the most interesting 20th century artists I’ve seen, Leno Prestini. This Clayton, Washington artist’s work defies categorization, but some describe it as surreal and eccentric. 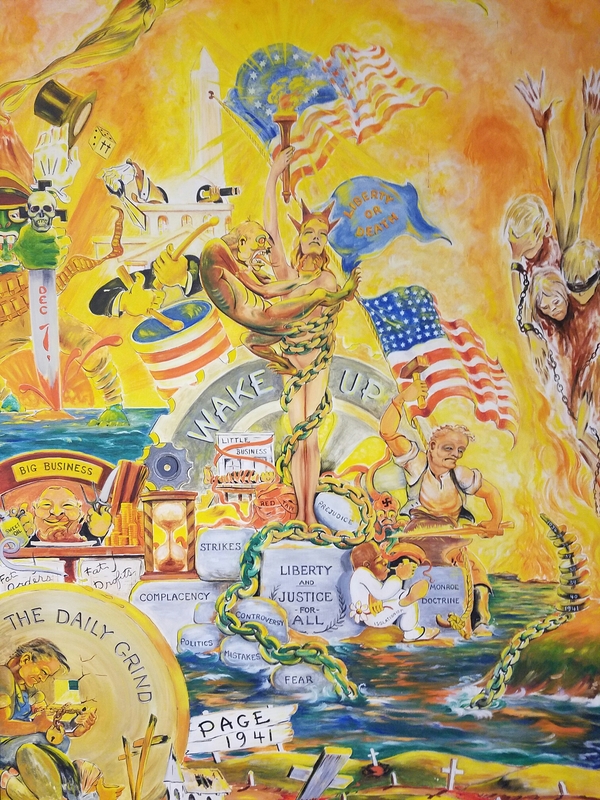 No matter how you describe it, Prestini’s art is not to be missed if you’re traveling through Stevens County. I’d even say that it’s a reason to make Colville a destination. My afternoon with Joe Barreca was one not to be forgotten. It was a lesson in history, sociology, economics, cartography and art. It’s fitting that Shelly Stevens from the Tri County Economic Development District calls Joe a “walking encyclopedia.” I encourage you to check out the Historical Society’s Museum. If you’re lucky, you’ll run into Joe when you do. Ask him about the Columbia River. Any student of Washington State history will learn that the fate of many towns was determined by trains. Ritzville, about 60 miles southwest of Spokane, is no exception. The train that established Ritzville, however, wasn’t one of the locomotive-driven variety. Ritzville owes its beginnings to a wagon train. In the 1870s, the Northern Pacific Railway had not yet reached the Ritzville area. The settlement was made up of about 50 cattlemen. In 1882, that population quadrupled overnight when a wagon train of 17 Volga German families decided to stop in Ritzville. They had started in Russia. Volga Germans are ethnic Germans who immigrated to land along the River Volga in Russia. They were among a group of Europeans in the mid-19th century who were invited by Catherine the Great to colonize Russian lands. The Volga Germans were allowed to maintain their language, religion and farming culture. When they started to be drafted into the Russian army, they packed their bags and headed to the United States, many making their way to the western frontier – places ideal for farming, like Ritzville. 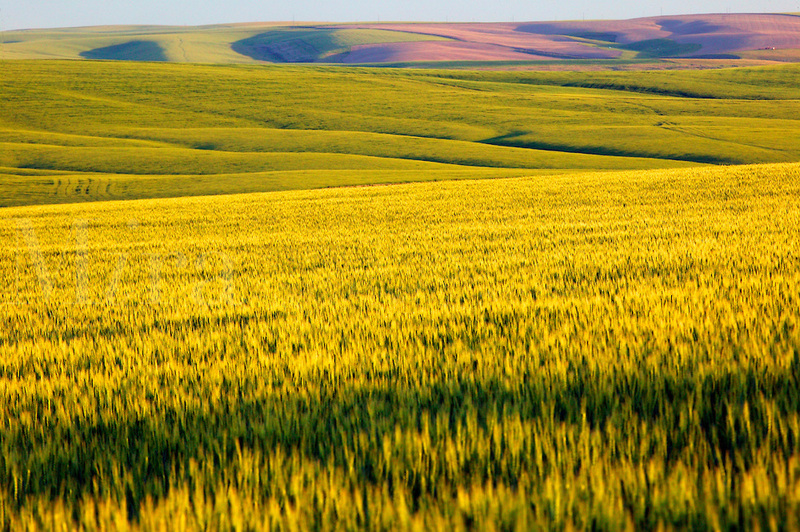 With an infusion of Volga German famers Ritzville began its reliance on farming in earnest. 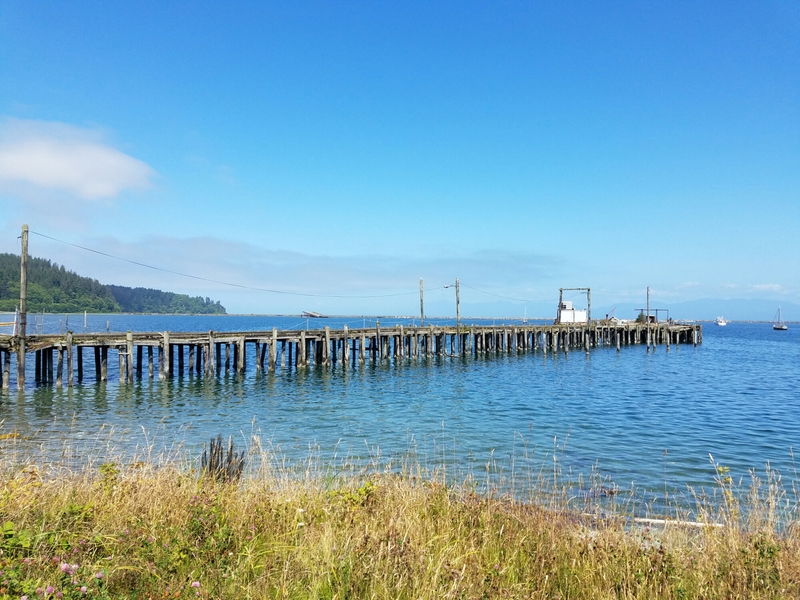 The town was officially founded, wagon trains were replaced by Northern Pacific Railway trains and a depot for shipping out wheat was constructed. By 1901, Ritzville became the largest exporter of wheat in the world – a fact I learned, among other things, on my visit to this small eastern Washington town last week. 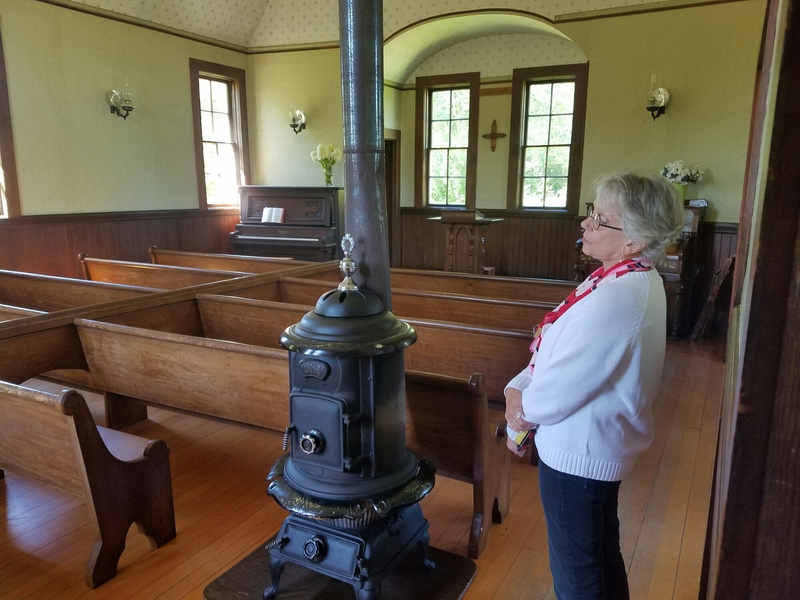 “Most people assume Ritzville is the gas station and restaurant you see from I-90,” said Ann Olson, a descendent of one of the 17 wagon train families and manager of Ritzville’s two museums. I must admit, like most people, my experience in Ritzville has been limited to refueling while driving from Spokane to Seattle. 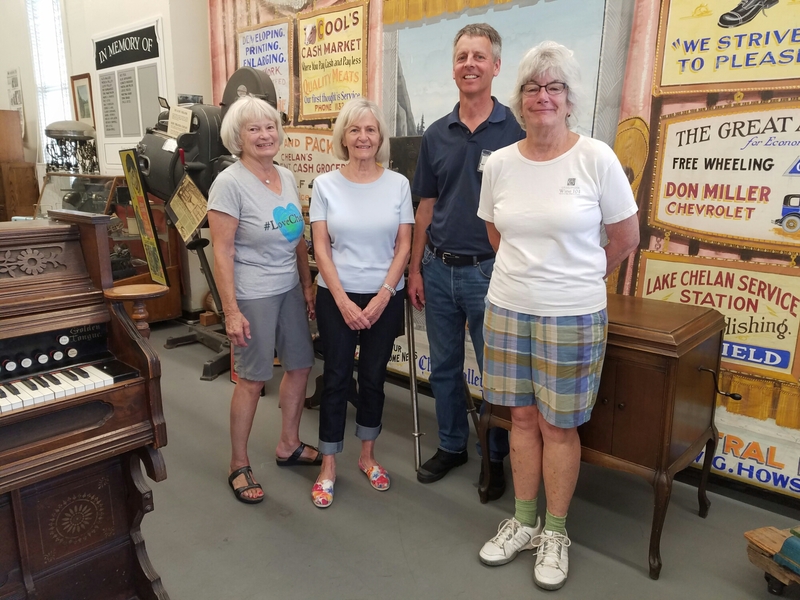 Ann gave me a tour of the town that opened my eyes to the critical contribution Ritzville – and so many towns like it – have made to the state’s heritage. Among the most interesting places I saw on my tour was the Railroad Depot Museum. If railways were the lifeblood of towns on the frontier, depots were the heart. Ritzville’s railroad depot was more than just a place to load and unload traincars of wheat. It’s where people voted, bought their newspapers, sent telegrams and went to church. The railroad depot was the community center. It was apparently also the town’s clock. To this day, the noon whistle blows loud enough for the entire town of Ritzville to hear. Given depots’ role as communications hubs the most important position at these places was the Agent-Morse Telegrapher. This person was responsible for keeping the depot’s telegraph office open 24 hours a day, seven days a week. 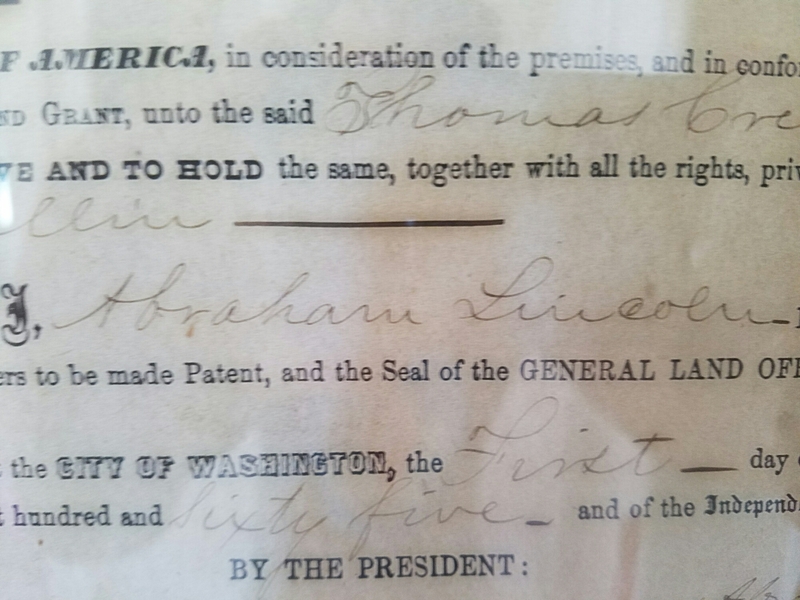 The agent not only had to be competent in operation of the telegraph system; he or she also had non-railroad duties, such as issuing marriage licenses and serving as notary public. 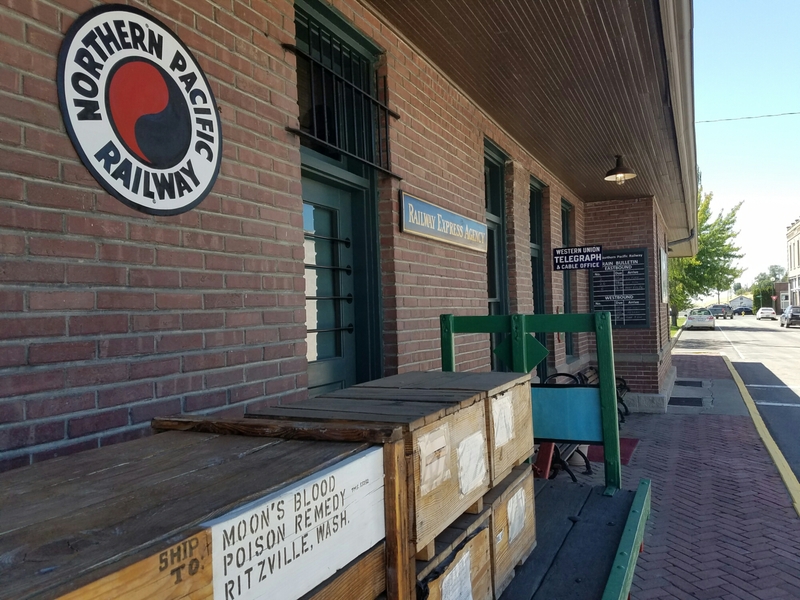 As Ann was showing me around the Ritzville Railroad Depot Museum, in walked – as if on cue – one of her octogenarian volunteers, L.R. Keith. 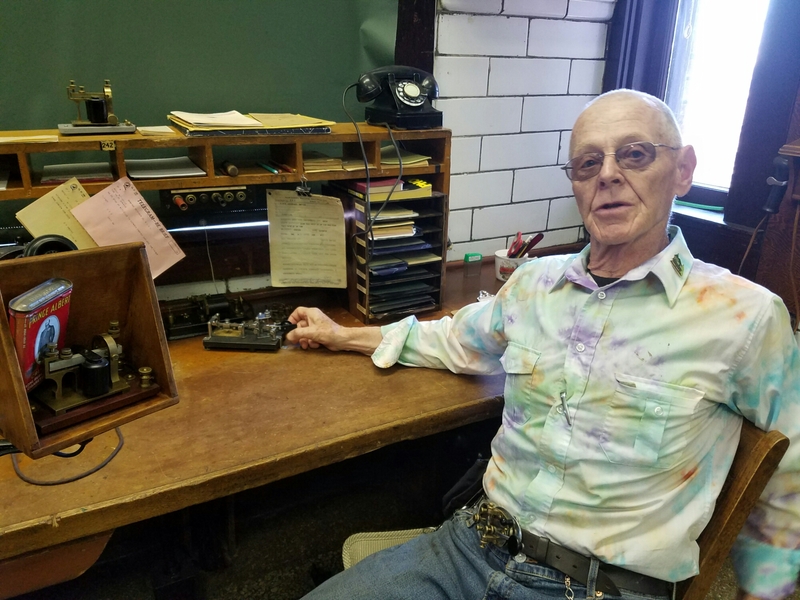 He’s a trained telegrapher, making him perfect for showing museum guests the depot’s main exhibit: a working telegraph office. L.R. takes his trade very seriously. He proudly wears a telegraph key belt buckle. “I’m going to be buried with this belt buckle,” said L.R. as he slid into the telegrapher’s chair and quickly started to input code into the telegraph key sitting on the desk. “How many words per minute can you type?” I naively asked. “You’re asking the wrong question,” L.R. sternly replied. He then recited the dozens of different types of codes a telegrapher must learn, each corresponding to a different industry. L.R. used to work for Western Union. Like many others before him, his last stop as he moved west was Ritzville. After our encounter with L.R., Ann showed me around the rest of the museum, which has 150 years of Ritzville’s history on display. Newspapers. Sports team uniforms. A horse driven hearse. The old dentist’s chair. I was amazed by how comprehensive the place was. 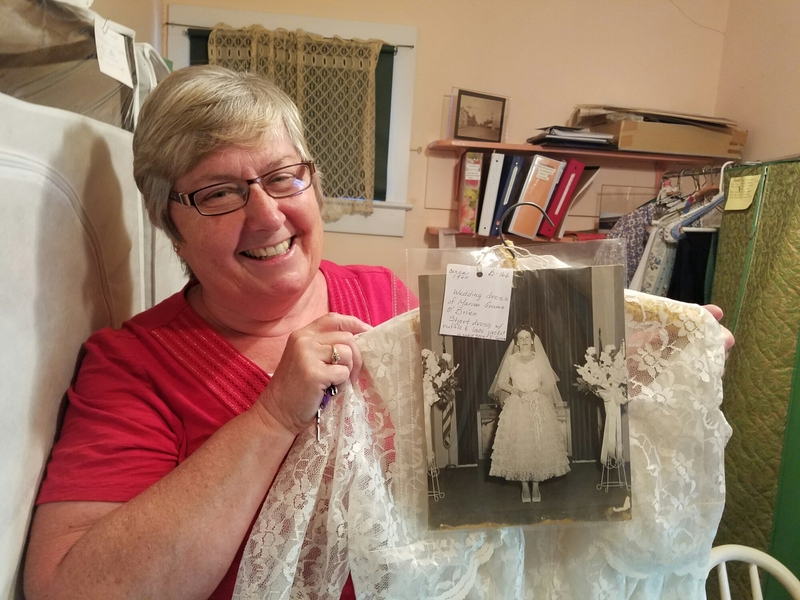 “Every time granny dies, somebody brings us stuff,” said Ann, as she showed me 100-year old wedding dresses and fur coats, each of which comes with a photo of its former owner. 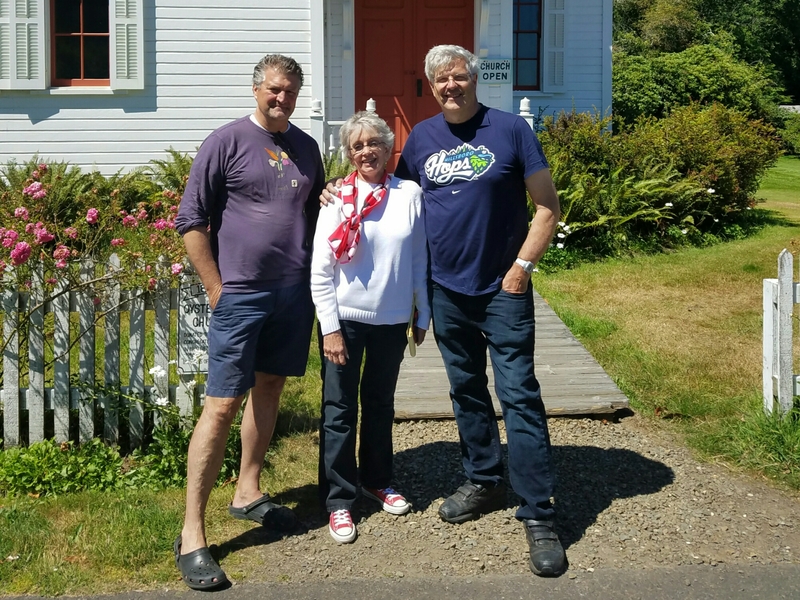 After a few hours with Ann, I have a much deeper appreciation for – and understanding of – the small towns (and their trains) that served as the foundation for Washington State. If you find yourself driving through Ritzville on I-90, I strongly encourage you to investigate further than a few hundred feet off the interstate. The Ritzville Railroad Depot Museum is a must-see. Ann and I said goodbye as she realized she needed to get to a 12:00 meeting. How did she know what time it was? The noon whistle blew. 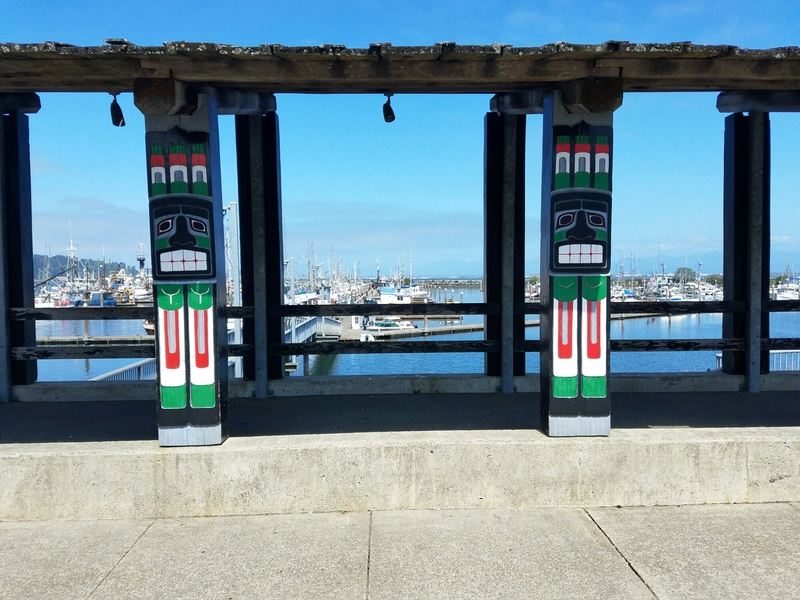 In most places in Washington State, where a town developed was decided by the people who first inhabited the area or by the European settlers and American pioneers who showed up later. Seattle owes its map to the Dennys and Mercers. Spokane (originally Spokane Falls) grew up along the Spokane River because early pioneer James Glover saw the falls as a great place for a sawmill. 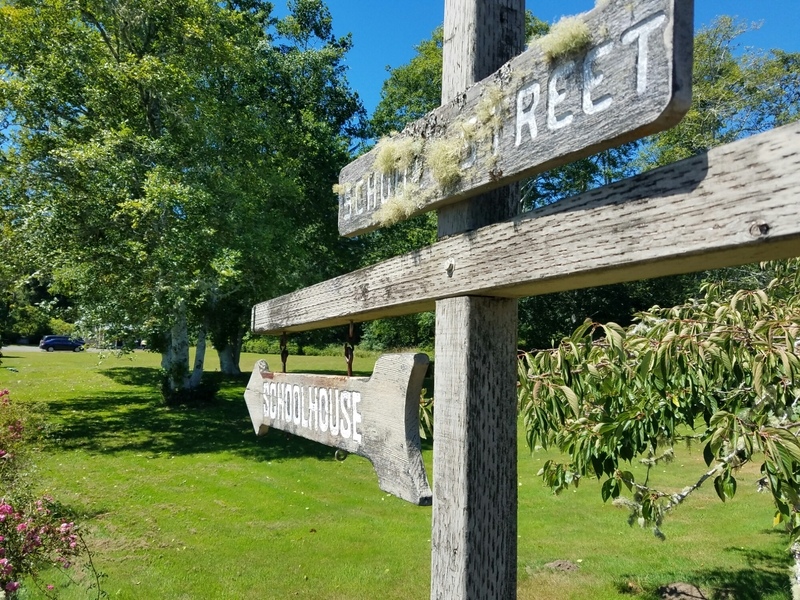 Most towns have a similar story: somebody shows up and says, “let’s settle here” – usually due to proximity to a natural resource like a river, bay, forest or farmland. This week I learned that early development of Chelan County – and the placement of its county seat, Wenatchee – was decided by a guy who never lived there. 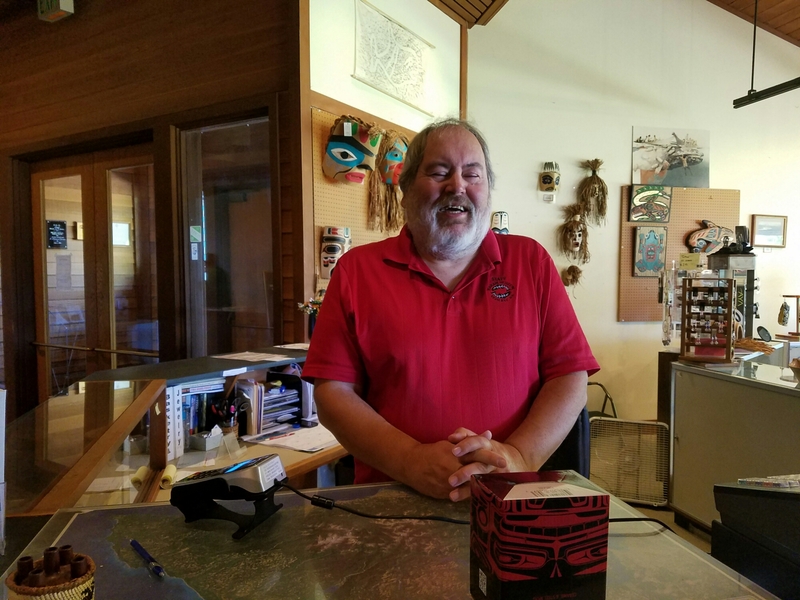 The great folks at the Chelan History Museum introduced me to local historian, Rod Molzahn, who told about the decisions that drove early development and governance of the region. 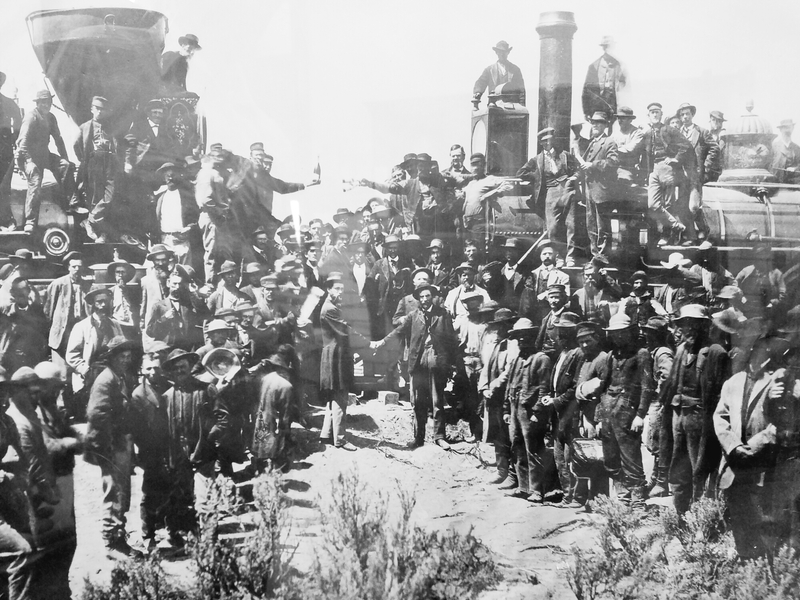 In the late 1800s, railroads were rapidly making their way west – the most significant of which was the Great Northern Railway. Its owner, J.J. Hill, was friends with a Seattle attorney and judge by the name of Thomas Burke (as in the Burke-Gillman Trail in Seattle). Burke’s good friend, Hill, fed him some very valuable inside information: the route his railroad would take through central Washington. Burke knew the railroad would cut through the land closer to the Columbia River, well below the already established town. So, like any good insider trader, he quietly bought up 640 acres – at a very low price – along the river. Burke’s Wenatchee Development Company started a campaign to get people to move their businesses from “old town” to “new town.” He hired a couple from Ellensburg to start a newspaper in Wenatchee and act as his propaganda arm. He even sweetened the deal for businesses by offering to move their buildings closer to the river. Eventually, Burke’s scheme started to work. Businesses began to move, people learned about the railroad’s plans, and the value of Burke’s land by the river started to skyrocket. 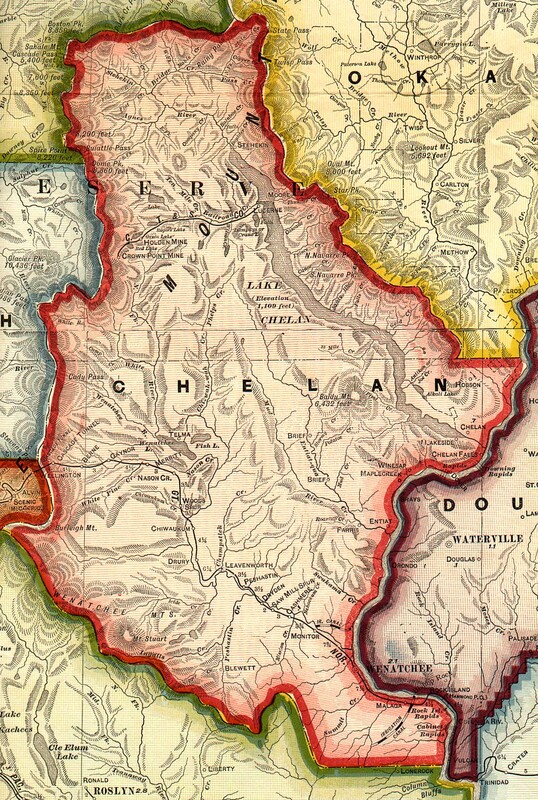 As Wenatchee and surrounding towns such as Cashmere, Chelan, and Stehekin started to thrive, a bill was passed in the state legislature to create Chelan County by carving off pieces of existing Kittitas and Okanogan Counties. This was fought aggressively by Okanogan County, which finally acquiesced in exchange for $77,000 in damages paid to them by the newly formed Chelan County. The formation of a county required the appointment of county commissioners, the establishment of a county seat and the building of a courthouse. A compromise was struck between the geographically dispersed towns of Cashmere, Chelan and Wenatchee: the state legislature appointed three commissioners – one from each town. With county commissioner representation decided, the towns couldn’t agree on the placement of the county seat. Chelan argued its nearby hydropower made it a good choice. Wenatchee, of course, had the railroad. Nobody had money to build a courthouse, though. After all, they had a $77,000 debt to pay to Okanogan County. Guess who had a solution? Good ‘ol Judge Burke just happened to own a 3-story hotel in “new town” Wenatchee that he was willing to deed to the City of Wenatchee – for one dollar – provided that the County Commissioners name Wenatchee as the County Seat. The County Commissioners accepted the offer and to quiet the objections from the Chelan people ,the commissioners appointed Chelan area men to be the county’s first officers, including Sheriff Frank Keller, a rancher from Stehekin – a tiny town accessible only by boat at the north end of Lake Chelan. “That was a great recipe for rapid response,” joked Rod, as he continued the story. Because the county commissioners had to travel long distances to get to the county seat, Burke gave them each a room on the third floor of his hotel – rent free. That’s how Wenatchee became the county seat for Chelan County. Coincidentally, that’s also how Judge Burke’s land increased in value. So far on the ProjectWA road show, I’ve been fortunate to meet with several town leaders who have provided some colorful stories about their respective communities’ history. Early on, natural resources such as rivers, farmland or forests usually determined where a town grew. 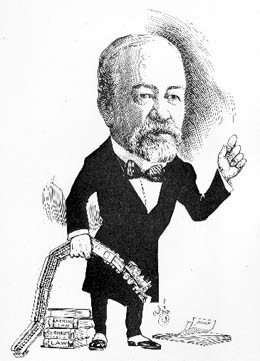 Later – as Judge Burke demonstrated – the railroad started to play that role. In the information age, I think the next major economic factor for communities might be interesting stories. If so, Chelan County is going to do pretty well. 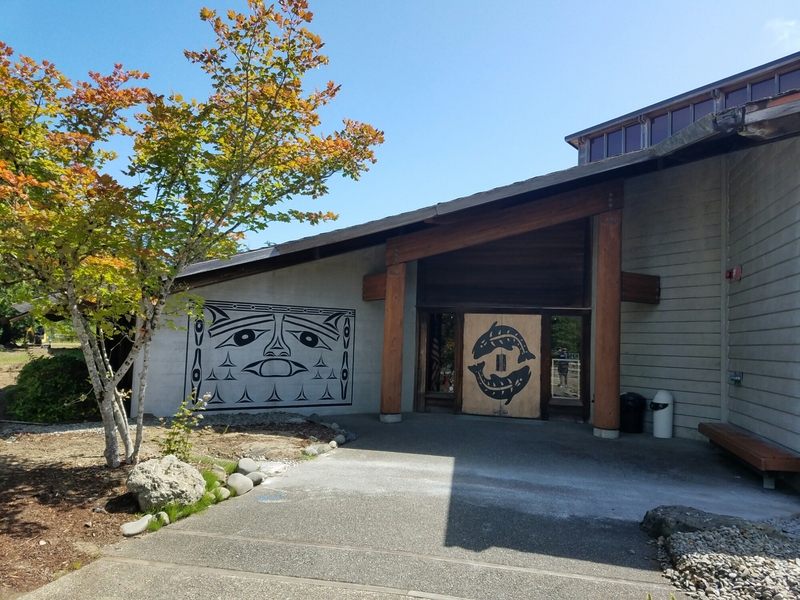 If you’re interested in some of those stories, stop by the Chelan Museum – they have quite a few. While you’re there, collect your points for visiting in the Washington State Insider app.